In an age when PDFs enter the field of published resources daily, I find myself longing for the feel of a printed page. Don’t get me wrong, I love my phone, iPad, my laptop, and my desktop. But there’s something to be said for the time only a couple of decades ago (and earlier) when I can recall wandering into game stores and perusing the shelves, flipping through books admiring whatever art and content that caught my eye, and a bit simpler world. Bombarded by content, I can easily admit that I love escaping to a simpler time and perusing old bookstores to find old paperbacks and hardbacks from the bygone age when paper quality, bindings, and the printer’s art were not just a thing of the past. Today in a time of trade paperbacks and print on demand I think the distance between the author and the printing process has become too great. There are exceptions to the rule, but they tend to happen more in the realm of fiction than gaming. That said, in recent years I’ve only seen a few fiction books with ragged-edge bindings and antique paper that feels and smells like it would have been at home on shelves in the 20th century or before (yes, there’s something about the smell of old paper – what can I say, I’m a bibliophile! ), but they’re rare. Why do I mention this? It’s not like it’s a new comment on the state of the world. We all know the bits have it in the bag. And I’m definitely not opposed to progress. The many boxes of books crying out for shelf space in my basement take up a ton of space where digital versions would take up very little. But it’s difficult to review some things online when they cry out to be seen and touched in the real world. For about two months I’ve been struggling to review Robert Bohl’s Misspent Youth game book as a PDF. To be fair, I’m trying to read the “Eyebleed” edition of the PDF and I think my eyes may have actually bled a time or two while reading. The book is a deliberate hodgepodge of pulled together documents to describe a science fiction setting “about friendship and rebellion.” Scattered throughout are fliers, newsprint, handwritten notes, drawings, photos, and so on – and it’s amazing. Unfortunately it’s also been damn impossible for me to read in Adobe Acrobat on a PC or in GoodReader on my iPad. Whether it’s my eyes or the way these pages are rendered, I’m unable to fully determine. I’d bet it’s more PEBCAK (Problem Exists Between Chair And Keyboard) than the tools, but I don’t want to accept that just yet. I want to read this book, but it uses such a creative and artistic layout that it just screams to be read on actual paper where I can explore each page, admire the layout, and dive deeper without getting frustrated at the same time. First, to all the gamers out there – what is the dividing line between a book you want to read online vs. one you want to read in some physical form? And second, to all the publishers – how do you decide whether a book is online only, hardcopy only, or someplace in-between? I’m guessing that size and cost are two of the major factors on both sides of the equation. But I own PDFs that I don’t think I’d ever want to have as hardcopy books. And I have hardcopy books I don’t think I’d ever need as PDFs. Curious gnolls want to know! Depends what you mean by ‘read online’. 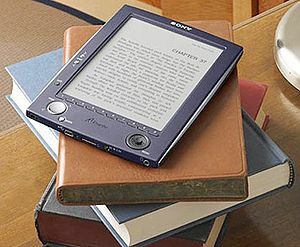 * read on an ebook reader? Almost anything that’s basically prose (novels, mostly) works really well, it can be reflowed as needed. Anything depending on page layout (which includes a lot of technical books, and I include most RPG books in that category) tends not to work as well in my experience. It may be that I just need my experience expanded. * read at the computer? Almost anything well-indexed, it’s lovely for reference work. I don’t like long-reading things at the computer, so it mostly works for me when I’m using something like Andargor’s online RSRD (I especially like the CHM version, to be honest, but the database is fairly handy) or when I’m doing spot checks (bounce to a particular page, say). * hardcopy? Anything longish or format-dependent that I want to read and absorb. Anything shortish, for that matter. I’ve got a growing stack of comb-bound books I’ve printed specifically because I wanted to lie in bed and read them, or scribble on them, or whatever. Thanks very much for discussing the game, and for your complements on its layout. While I am proud to say that I am the one who called for that look, it’s Joshua A.C. Newman (author of Shock: Social Science Fiction who actually executed (and surpassed) my vision for the final game. I hope you will be happy to learn that I’ve been working on a screen-friendly PDF of this game that preserves a lot of the look and feel of the original (and will also include art from the amazing Italian edition). You may be less happy to know that I’ve been promising to do that since August 2010. I hope to make good on my boasts soon, though. I probably always want a real book. I see e-books and other electronic options as an adjunct. Where electronic options become necessary for me are when we’re engaging in online play, or when the rules are ridiculously long or complicated. Up until this point, I had been pretty much considering every game I write as a paper publishing project. I will probably continue to do that, but I’m beginning to appreciate how much more-central e-books are becoming. For the game I’m currently working on, Sad & Miserable: The Secret Lives of Stand-Up Comics, I’m planning on releasing a bookmarked e-book at the same time as the paper copy. (Actually, I want to come up with something more creative than this, but this is the best I got right now. Also, you don’t have to beat yourself for having a problem with that PDF. That layout kind of requires having a paper copy so that you can tilt and twist it around as need be. PS: I created a Google+ thread on this that’s gotten some good response too. pdf’s on the computer, and definitely prefer to flip through a paper book. It’s also much harder to find “that section” quickly on a pdf, at least for me – whereas with a paper copy that I’m familiar with I can find that relevant section in a heartbeat. That said, I do have several RPG-themed pdf’s on my computer, and they come in handy for reference when I’m at my computer, but don’t want to find the book first. I just wanted to update people wh may be interested (given that Misspent Youth is mentioned in terms of its poverty as a screen reference) that there’s a screen-friendly, and aggressively un-eye-bleedy, version of the game now available. You can see the first chapter* for free, and if you like it, you can pick up the PDF or the print+pdf bundle.